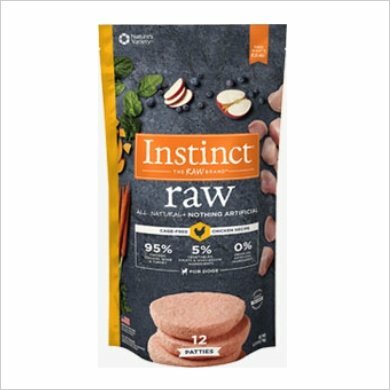 Whether stored in the freezer or kept on the shelf, Nature’s Variety Instinct 100% raw products are made with pure, real ingredients, minimally processed and never cooked. High Pressure Processing (aka HPP) is used to create extreme cold pressure for extreme food safety with pure, cold water – no heat, no chemicals, and no preservatives needed! This process if all natural and keeps foods delicious and ingredient lists clean.